Every June, in Cleveland’s University Circle, thousands show up to celebrate “Parade the Circle.” It’s a free, colorful, multi-cultural event where participants make there own costumes. It’s a super venue for capturing candid photos of parade participants as well as people meandering around the event partaking of great food and entertainment. 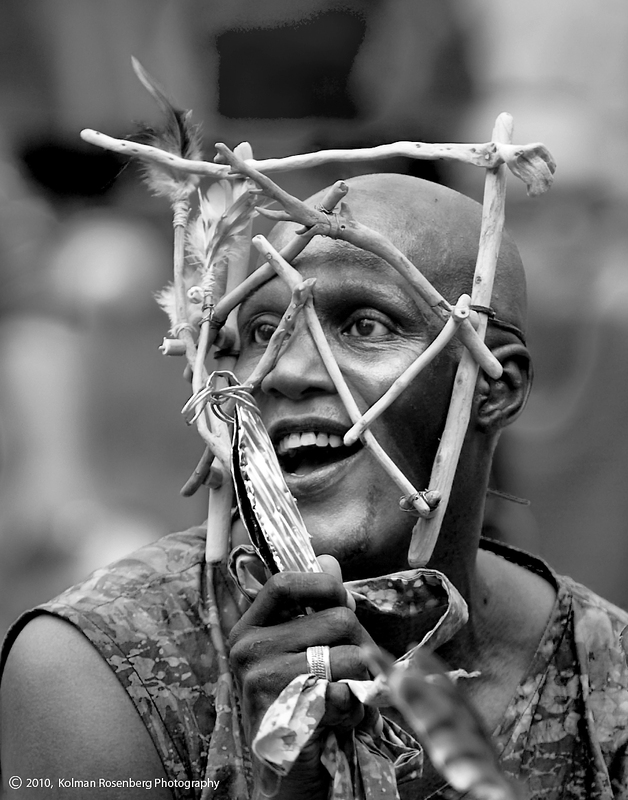 This photo was taken of a parade participant wearing a mask made of sticks. Although it made a nice color photograph, the contrast in the photo made it a great candidate for a black and white conversion. This entry was posted in Uncategorized and tagged Black and White, Cleveland, Cleveland Art Museum, Cleveland Museum of Art, Festival, Mask, monochrome, Multi-Cultural, Museum, OH, ohio, Parade, Parade the Circle, University Circle, Universtiy Circle. Bookmark the permalink.